There is a bug in GNOME Shell which breaks the CSS for all extensions if you use the User-Theme extension. The bug is not in the User-Theme extension, but this extension exposes it (when used with GNOME Shell Themeselector or Tweak Tool). Unfortunately the bug hasn't been fixed so far, but you can get all extensions to work with the User-Theme extension by using a patch submitted by Sardem FF7. I've found the solution on fpmurphy.com but his patch actually didn't work because he didn't patch the main.js file too. He updated the post and now the instructions on that blog work too. After applying the fix below, you'll be able to use GNOME Tweak Tool or ThemeSelector extension to change GNOME Shell themes, without breaking other extensions. 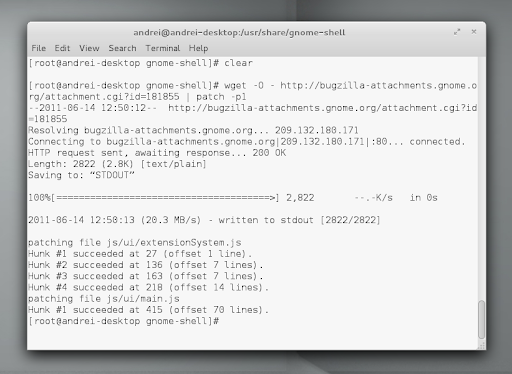 su - #in Ubuntu, use "sudo su"
Important: when you get a GNOME Shell update, these files will be overwritten so you'll have to apply the patch again!